When Vivaan Bhatena's father passed away unexpectedly in 2004, his world came crashing down. "My mother told me much later that she saw me change overnight, from a boy to a man," he says quietly. While it wasn't easy to come to terms with this loss, Bhatena admits that he had no choice but to grow responsible and continue working in the entertainment industry. And that's perhaps the harshest lesson Bhatena learnt while being a TV show anchor -- to smile in front of the camera, whatever you may feel inside. Bhatena is anchoring the new season of Dadagiri, a reality show on UTV Bindaas. 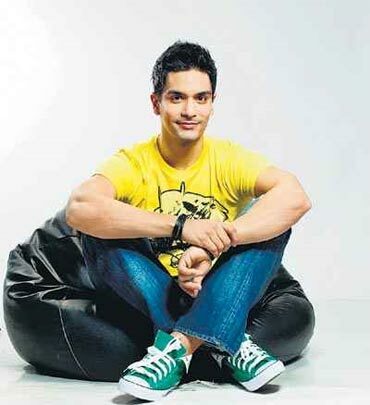 He has replaced another young host, Angad Bedi, who anchors the channel's very popular Emotional Atyachar. Bhatena, 29, says that the process of interacting with youngsters on a show like Emotional Atyachar can be draining. "We sit in the viewing room, revealing to an individual their partner's infidelity. We are in it with them, comforting them, experiencing their angst, struggling to wipe their tears, so obviously it's not an easy task." VJ Juhi, an otherwise spunky, energetic anchor on Channel V, agrees that while a lot of viewers think young hosts on television ("especially VJs") have privileged lives, enjoy a lot of attention and wear the best designer outfits, the task does get difficult. "I'm not saying that I don't enjoy my job. I love it. However, there are days when I'm feeling low, I'm not in a mood to party, smile and grin broadly. But I still face the camera and display the same oomph and energy," she says. Juhi describes herself as an "Air Force brat" who, armed with a diploma in hotel management, tried her hand at event as well as model management. She admits to being shy, "very conscious of the camera", and that's why when Channel V contacted her, she was, well, stumped. "Carrying off six-inch heels, doing makeup in 10 minutes flat, not getting conscious of the camera -- are things I've learnt being a VJ," she laughs. Yet she admits that she doesn't like watching TV, "I don't have a cable connection." Ironically, even though they are anchors representing youth on TV, there are times they can't relate to their peer group. Angad Bedi, son of veteran cricketer Bishen Singh Bedi, says that "Being an anchor for Emotional Atyachar showed me how easily youth get swayed." Another young VJ, on condition of anonymity, says, "I'm only hosting reality shows on my channel. But there's no way I can even relate to them. Yes, I suppose I'm a hypocrite, then." Ayushmann Khurrana, one of the busiest anchors on TV today, who entered the glamour industry via the MTV reality show Roadies, remembers himself as a "skinny guy from Chandigarh who barely worked out and was extremely shy and reserved". He went back to Chandigarh after winning Roadies and finished his studies, did theatre, worked in radio and only later returned to Mumbai. Music Ka Maha Muqqabla, a music show on Star Plus, made him a household name and this talented anchor now works overtime. He says, "I haven't slept in the last 24 hours," covering the ongoing IPL. He's proud of the fact that he doesn't drink or smoke. "In that sense, I'm proud that the younger generation can look up to me," he says. "I'm a prepared anchor -- spontaneity is not constant." Anchoring segments on IPL (other young anchors who give him company include Angad Bedi, Samir Kochchar and Gaurav Kapoor) is a challenge, says Khurrana, given that he's not a cricketer. Now he's gearing up for his next job -- anchoring Siddharth Basu's India's Got Talent. 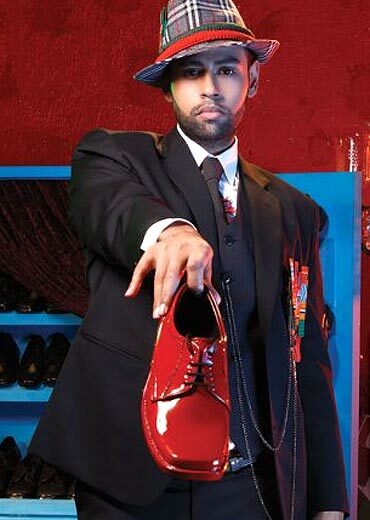 Like Manish, Andy, the madcap host of the show Dare 2 Date, is a choreographer and stylist too. Interestingly, Andy (Anand Kumar), is originally from Punjab, speaks in a clipped English accent far removed from the chaste Hindi he delivers on TV. He's at ease with his dressing style, "I know what suits me," and that, in fact, makes Andy one of the most popular hosts on TV today. Being comfortable in one's skin is just what VJ Bani aka Gurbaksh Judge feels one needs to be an anchor. 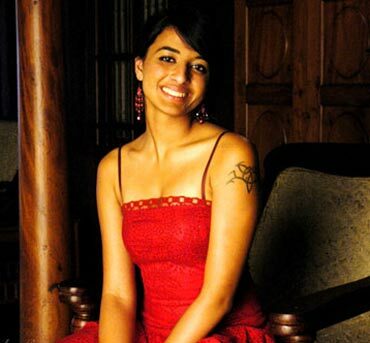 Originally from Chandigarh, Bani, as her MTV webpage tells us, bakes muffins and cakes, sports nine tattoos, enjoys working out and says no to drugs, drinks, smoking. 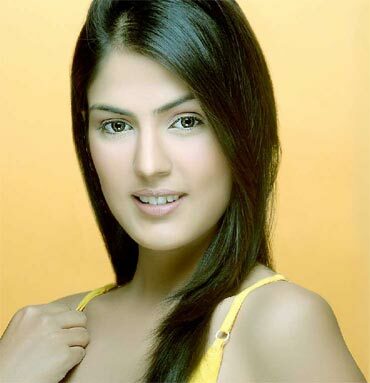 Rhea, at 17 the youngest VJ on MTV, agrees, "Sometimes I find that my generation lacks focus. All they want is two minutes of fame." But isn't that what their shows promote, with cameras thrust constantly in the faces of youngsters? Pix: It's the battle of the sexes again on TV!